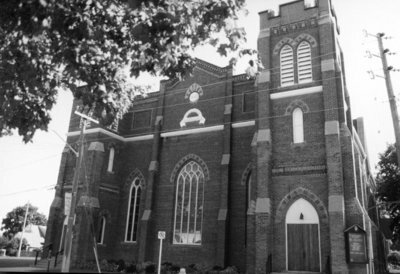 A black and white photograph of St. Mark's United Church. St. Mark's United Church, October 2005, Carl Ferencz. Whitby Archives A2013_017_002.